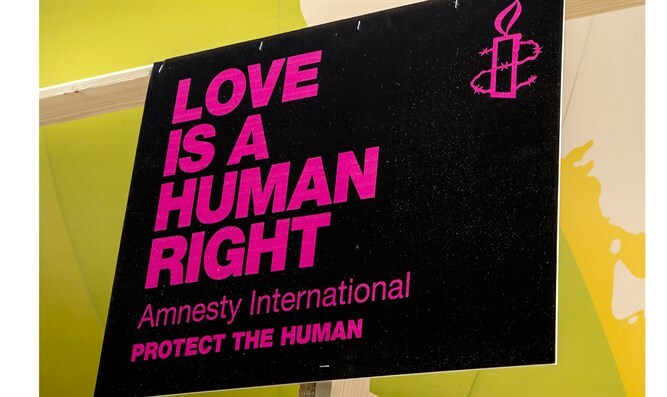 The main umbrella group of British Jews accused their local branch of Amnesty International of targeting the community following the abrupt cancellation of a joint event. The accusation by the Jewish Leadership Council — a charity founded 15 years ago comprising 32 groups with different politics, including the Board of Governors of British Jews, the Jewish World Relief aid organization and several synagogues – came Monday following the cancellation of an event concerning Israel and the United Nations. The panel session that Amnesty canceled is entitled “The UNHRC and Israel: How it works, what’s not working, and how it might be repaired.” It was to be chaired by Danny Friedman, a renowned Human Rights lawyer, with speakers including Fred Carver of the UN Association and Hillel Neuer of UN Watch. Israel and its supporters have accused the United Nations Human Rights Council of disproportionately targeting the Jewish state with criticism while overlooking abuses by other countries. From the council’s creation in June 2006 through June 2016, over half of its resolutions condemned Israel, according to U.N. Watch, a watchdog that monitors criticism by the United Nations of the Jewish state. Israel and many of its supporters have criticized Amnesty International for what they called an anti-Israel bias and allegedly evenhanded treatment of it and terrorist groups, including Hamas. In November 2012, Amnesty UK chastised staffer Kristyan Benedict, Amnesty UK campaigns manager, over his posting on Twitter of a remark deemed anti-Semitic regarding three Jewish members of parliament. “Louise Ellman, Robert Halfon and Luciana Berger walk into a bar…each orders a round of B52s … #Gaza,” he wrote.